The “Minimus” Series 700 range is based on all the standard CM chassis design features with the narrowest and shortest format in the range. At 1.0m width the Minimus Series 700 trike will beat congestion and be comfortable on narrow cycle paths. This smaller Cargo Trike format is ideal for carrying many goods, 1 or 2 passengers, children, pets and more. When combined with the CM TrailerTrike™ systems the cargo capacity can easily reach 3 cubic metres and is therefore highly applicable to commercial logistics markets. The CM electric drive systems integrate with the Series 700, creating a compact and practical option for domestic use and business operations. Always striving to fit the market demands Cycles Maximus created the “Slim” Series 810 chassis. This brings together the advantages of the narrower Series 700 and the payload of the Series 900, at 1.1m wide this is an ideal compromise between overall access, capacity and stability. The length is the same as the Original Series 900 and some bodies are interchangeable between 810 and 900 options. The CM electric drive systems integrate with the Series 810, creating a nimble, slim and capable option for commercial operations within congested areas. 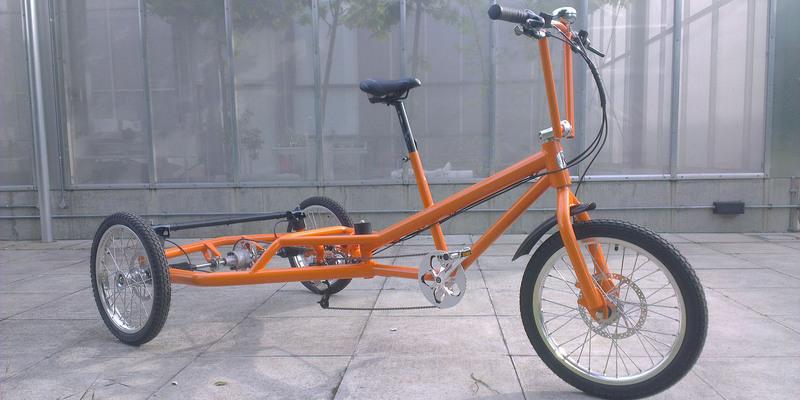 The “Original” Series 900 Cycles Maximus Trike is the standard format for the new generation CM Modular Trike System, this model was the source product for the new CM drive system and body application technologies. There are currently more body options for the Series 900 and therefore the full modular concept can be utilised with this trike. At 1.2m wide the MK1 and Series 900 Trikes are equal in size and basic functions, to transport a Series 900 is easy in small vans and on trailers. The style and scale of the machine is friendly in urban and domestic settings, and the width-length character allow a good load to be carried with stability over all terrains. Pushing the boundaries of Cargo Cycling, Cycles Maximus offers the “CMX” Series 910 range, The chassis is simply 10cm longer than the Series 900, allowing a higher capacity payload to be carried sensibly. Today’s commercial operations require higher cubic volumes or weight capacity. The Series 910 is comfortable with high volume and 250 kg loads, and the position of the wheels relative to the load is well balanced. All CM electric drive systems integrate with the Series 910, creating a capable and appropriate solution for demanding daily routines in any tough environment. Pedals - Platform BMX Type, 9/16"